2-Fluoromethamphetamine (2-FMA) is a phenethylamine and amphetamine that’s been used since around 2012. It’s a research chemical and little formal knowledge about the substance is available. It’s been described as an alternative to amphetamine and lisdexamfetamine, albeit with a lower recreational potential. 2-FMA primarily offers productive rather than recreational effects. Most users describe it as less inherently recreational than amphetamine. Most people find there’s little reason to go beyond 40-50 mg. After that point, the stimulation may increase and the duration could be somewhat extended, but the chance of negative effects increases. Most of the core effects tend to decline within 5-6 hours, but wakefulness can persist for 8-10 hours. Strong+ doses can extend the effects to some degree. There haven been cases of people using it daily or near daily, occasionally as an alternative for prescription amphetamines. Since less is known about 2-FMA, this isn’t recommended. As long as you take a common dose, it’s usually free of most negative effects. This means little to no jitteriness, noticeable cardiovascular effects, sweating, or anxiety. With higher doses (e.g. over 50 mg), jitteriness, sweating, jaw tightness, muscle tension, and possibly heart palpitations can develop. Most users find 2-FMA leads to effectively no comedown or after effects when taken at common doses. Strong+ doses can lead to some negative after effects, including transient low mood, low motivation, a flat affect, and even moderate depression into the following day. A combination known as the “Borax Combo” has gained some attention online. 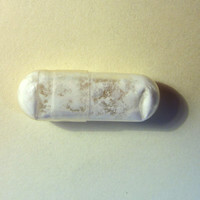 It can include various substances with the goal of offering an MDMA-like effect. One of the combinations is 2-FMA, 5-MAPB, and 4-HO-MET. 2-FMA is largely just offering stimulation in that combo. 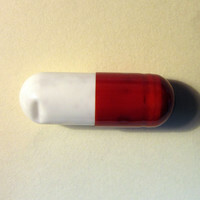 We don’t know how safe combining those drugs is, but if taken like MDMA (e.g. every few months) it’s probably not too concerning for healthy people. 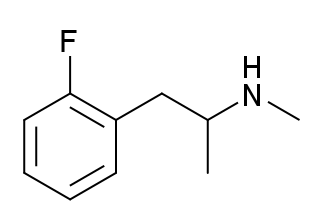 2-FMA is a substituted amphetamine. It’s a member of a group of fluorinated amphetamine derivatives, which also features substances like 2-FA and 4-FA. We don’t know its mechanism due to a lack of research. An educated guess is that it’s functioning as a reuptake inhibitor and releasing agent, particularly for dopamine and norepinephrine. There could potentially be other actions, such as at VMAT2 and TAAR1. Four capsules were delivered to Royal Adelaide Hospital in Australia. The capsules appeared to have originated from Neorganics, an Israeli company that was selling drug-filled capsules worldwide under various brand names. One of the capsules seemed to match up with a Neorganics product called Sub Coca 2. Upon examination, it was found to contain 2-FMA and a-phthalimidopropiophenone. It was reported to the EMCDDA only once before 2013 (in 2012). Most user reports have appeared from 2013 onward, though it was on the market before then. Of 162 seized drug samples analyzed in Italy, 2-FMA was found in only a couple, making it quite uncommon. 2-FMA is still on the market, but it hasn’t become one of the top research chemicals. China, Canada, Germany, and the UK. As we don’t have much information about the drug, it’s difficult to say how safe it is, especially with long-term use. It’s wise to use the drug at common doses, infrequently, and without combinations. The primary concerns people have mentioned are with cardiovascular and kidney health. Infrequent use of common doses likely isn’t an issue for healthy people. There aren’t any formal overdose cases to go on. However, 2-FMA could conceivable lead to hyperstimulation, anxiety, cardiovascular issues, and a higher seizure risk if enough is used. Those had been purchased online. Within five minutes, he was snoring and it wasn’t possible to wake him up. 2-FMA was ultimately found instead. Other stimulants, psychedelics, MAOIs, and tramadol. (2014) New phenethylamines in Europe. (2014) Detectability of new psychoactive substances, ‘legal highs’, in CEDIA, EMIT, and KIMS immunochemical screening assays for drugs of abuse. (2014) Lethal poisonings with AH-7921 in combination with other substances. (2010) Chemical analysis of four capsules containing the controlled substance analogues 4-methylmethcathinone, 2-fluoromethamphetamine, alpha-phthalimidopropiophenone and N-ethylcathinone.